Sheikh Omar Abdul Rahman’s health has deteriorated and his circumstances have become extremely straitened. With fourteen years of imprisonment so far, his experiences have been difficult, varying from strip searches and physical abuse to solitary confinement. In light of his blindness, this has a profoundly traumatizing effect. His health has deteriorated to such an extent that his family want him to return to Egypt so that they may be close to him during his final days. Now in this critical time it is of greater urgency to express your support to Sheikh Omar Abdul Rahman for the undue way in which he has been treated by the American justice system. 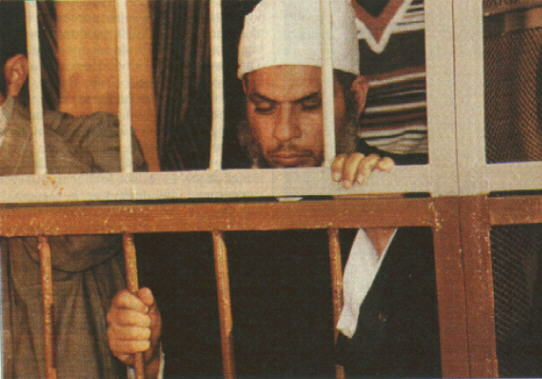 According to recent reports, the health of Sheikh Omar Abdul Rahman, the elderly Egyptian sheikh imprisoned in the US in 1995 under sedition laws last used during the American civil war, has severely deteriorated. In the last reported telephone conversation with his family, he told them to pray for him. Reports state that Sheikh Omar suffers from “chronic headaches whose cause has not been diagnosed and sleep disorders, as well as the effects of diabetes and old age”. Further, he “has difficulty getting around and so is confined to a wheelchair”. Sheikh Omar has been reportedly held in solitary confinement for the past 13 years and has been physically abused on many occasions. He has had his religious rights violated and has been subjected to strip searches every time he had a visitor. He reportedly stated in the telephone conversation to his family that “There is nothing but the Quran to stave off the madness”. Reports reveal that Sheikh Omar’s family had expressed their intention to request permission to visit him in USA, following President Obama’s election in November 2008, and intended to demand for him to be returned to Egypt. Reports also state that Sheikh Omar’s family requested to visit him in 2001 and 2004 but were denied in return.